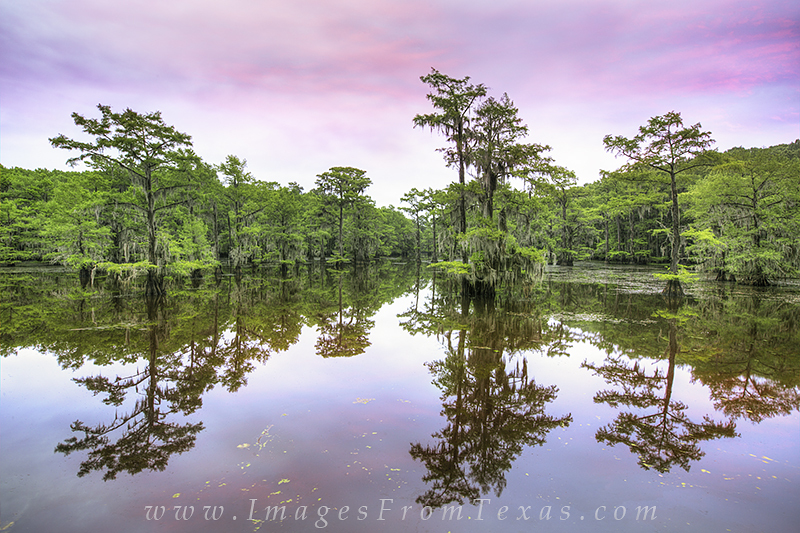 Low clouds filtered the sun and colored the morning a soft pink at Caddo Lake State Park. The wind was non-existent and the reflections of the old cypress in the still water resembled that of a mirror. I was surprised at the morning color. The colors lasted for only a few minutes before fading back to gray, but I'll remember the peace while it lasted. Photo © copyright by Rob Greebon.